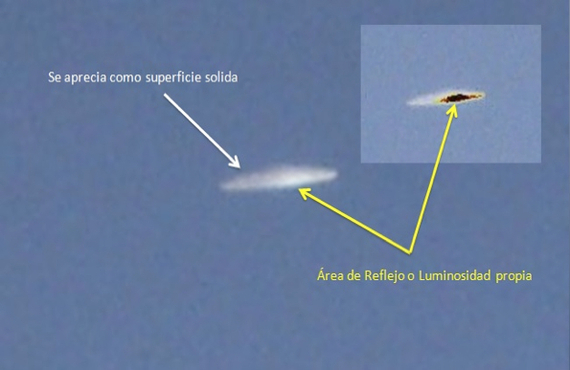 The first image shows a solid object reflecting the sunlight, the report states. 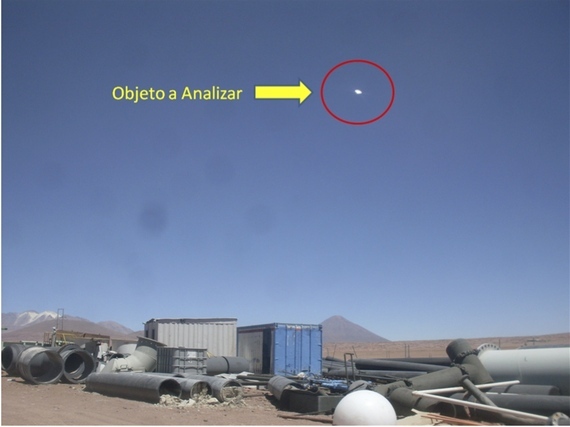 It adds that the object could be emitting it’s own energy as well, due to the high temperature shown in the image (the black area). The first image enlarged and filtered. 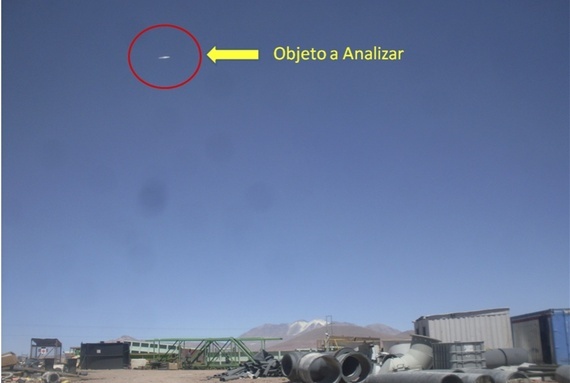 The second photo shows the object in a different position in the sky. 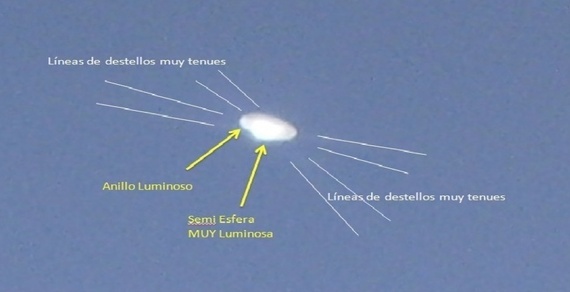 For an English translation of the official Chilean UFO study, click here. To read more at The Huffington Post, click here.